Each Android application must designate a default activity within the Android manifest file. If you inspect the manifest file of the Droidl project, you will notice that DroidActivity is designated as the default activity. Other Activity classes might be designated to launch under specific circumstances. You manage these secondary entry points by configuring the Android manifest file with custom filters. In Chippy's Revenge, SplashActivity would be the most logical activity to launch by default. 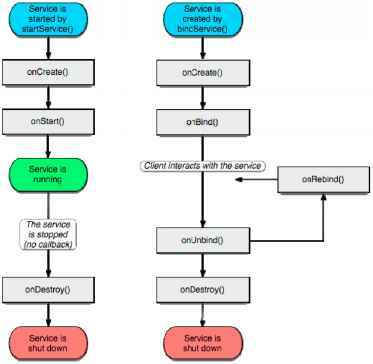 The most common way to launch an activity is to use the startActivity() method of the application context. This method takes one parameter, called an intent. We will talk more about the intent in a moment, but for now, let's look at a simple startActivity() call. This intent requests the launch of the target activity, named MenuActivity, by its class. This class must be implemented elsewhere within the package. Because the MenuActivity class is defined within this application's package, it must be registered as an activity within the Android manifest file. In fact, you could use this method to launch every activity in your theoretical game application; however, this is just one way to launch an activity. Activity.startActivityForResult() method. The result will be returned in the Intent parameter of the calling activity's onActivityResult() method. We will talk more about how to pass data using an Intent parameter in a moment.